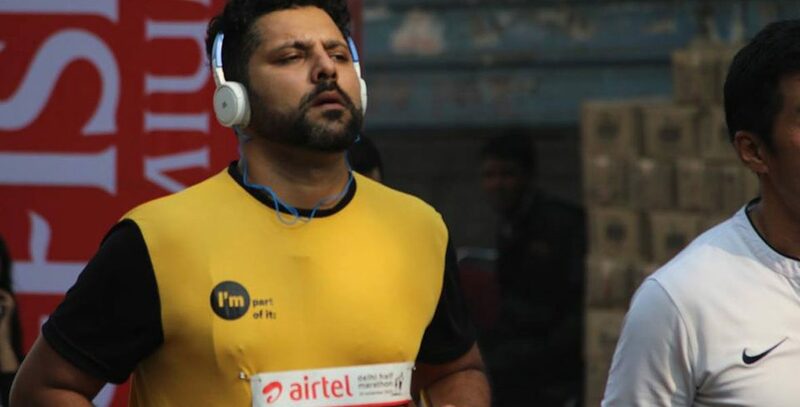 The organisers of the the Airtel Delhi Half Marathon 2018 have intimated us regarding collection of the running number bibs for all running the Airtel Delhi Half Marathon 2018, at the Mirchi Get Active Expo. Venue : You need to collect your running bib from Mirchi Get Active Expo at NSIC Exhibition Complex, Gate no. 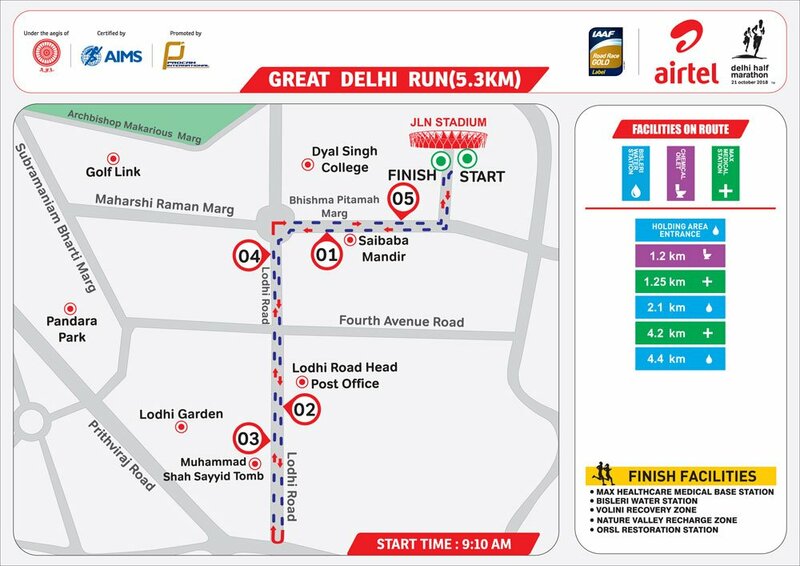 3 & 4, Okhla Industrial Area, Phase # 3, Outer Ring Road, Near Govindpuri Metro Station, New Delhi – 110020. Last time for bib no pick up. – Your Original photographic proof of identity (eg. Driving License, school/college identity card, Passport, PAN card, Election card, Aadhaar card). – A photographic proof of identity of the person visiting the Expo on behalf of the registered participant; eg. Driving License, school/college identity card, passport, PAN card, Election card, etc. Go Green Tip: You can save a screenshot of the photographic identity proof/s and of this email confirmation on your smartphone and show it to our representative at the Bib collection area within the Expo. You need not carry a print of the same. 1. 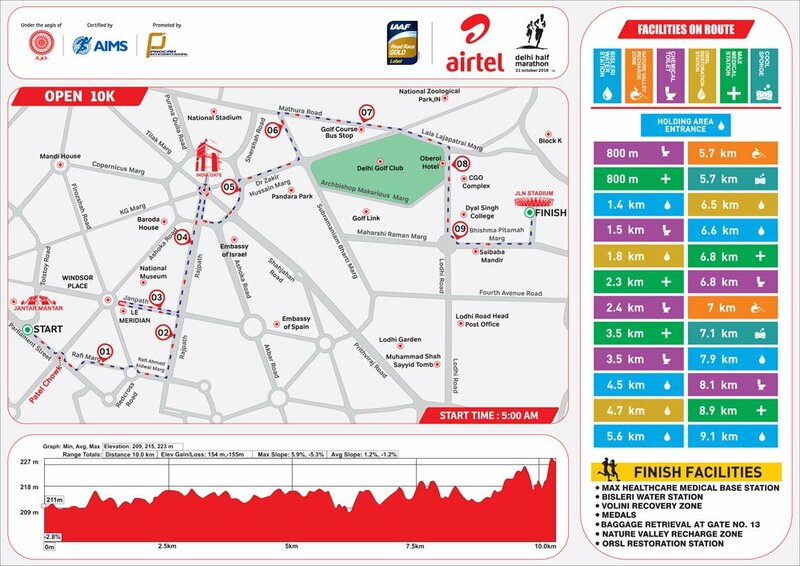 Please note in case of Half Marathon/Open 10K race category, a representative can collect the bib of ONLY ONE runner. 2. 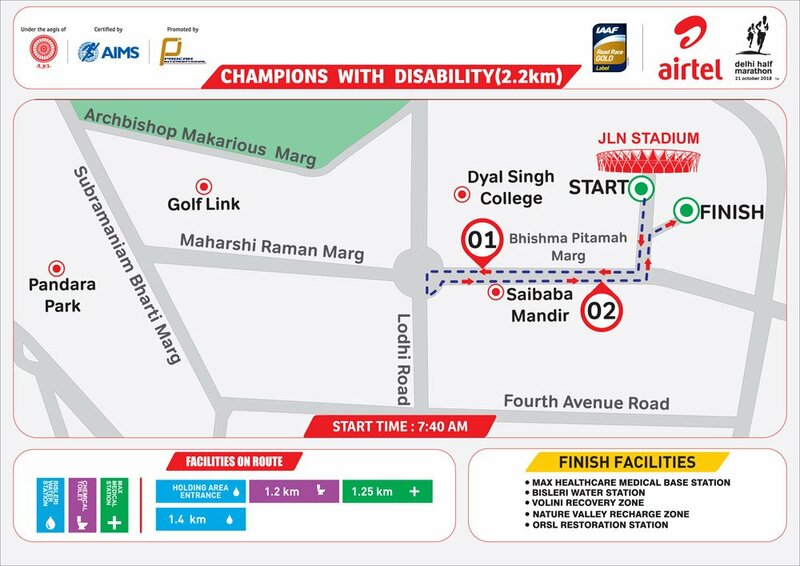 Please note in case of individual entries in Great Delhi Run /Senior Citizens’ Run/ Champions with Disability, a representative can collect BIBs for up to FIVE runners. 3. Please note bib numbers will not be mailed or handed over post the expo. 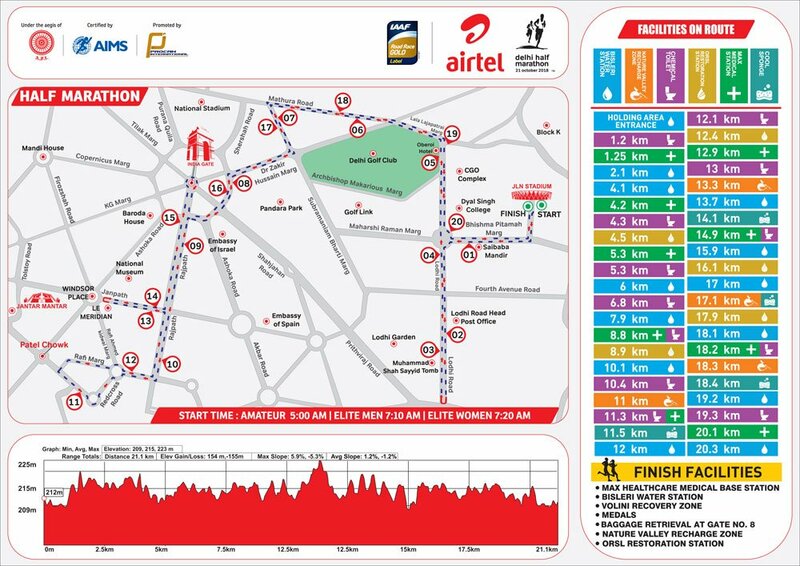 Here are the Run Timings and the Route Maps for all our Runners for the Airtel Delhi Half Marathon 2018 on 21st October 2018.